Pharmahop24 designs and manufactures vending machines for more than 20 years. Thanks to the opportunities offered by new technologies and the ability to keep up with the evolving market needs, the Company has now become a solid and growing business. From 2008 Pharmashop24 has entered the Pharmacy market, emerging as a national and international benchmark Company in its industry – right from the start. 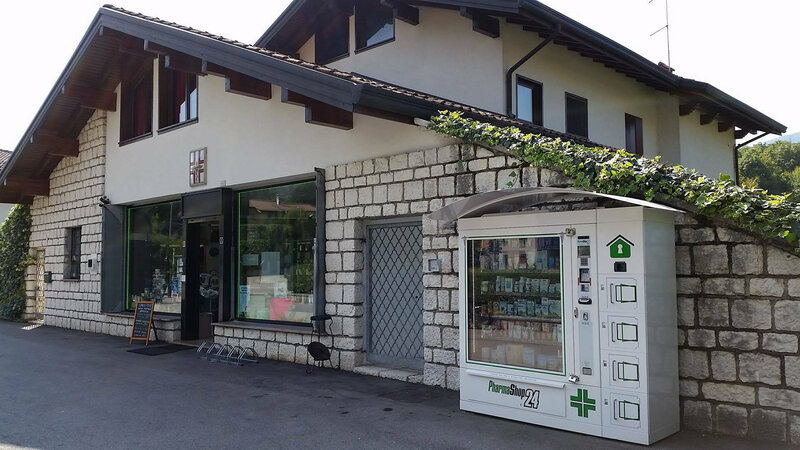 Combining consumers’ demands for comfort and convenience with pharmacists’ needs, Pharmashop24 helped shaping the automatic distribution of health care products, becoming the most imitated dispenser in the last 10 years. 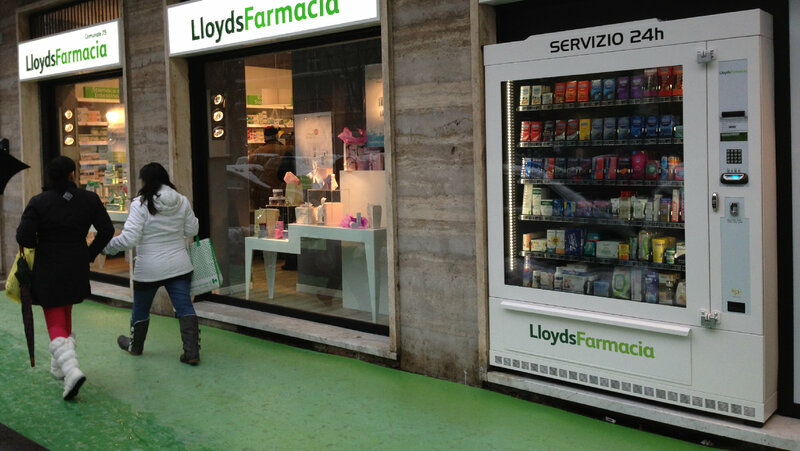 With an ever wider range of accurately exposed products, Pharmashop24 traditional vending machine has evolved from simple dispenser to interactive window. Easy to handle for both owners and consumers. Due to a broad selection of customized models equipped with the latest technology (touch screen, card readers, contactless devices, purchasing via mobile, web management etc. ), our vending machines are the ideal solution for who would like to make the most of his business. In 2008, another step beyond: the vending machine can now be connected directly to Robots, with high communicative and promotional features, plus the Virtual window – a completely touch screen window. Our Company is established in Luzzara (Reggio Emilia), just along the Po river shore, among the winter fog and the summer haze of the typical landscapes narrated by the famous local poet Cesare Zavattini. Trust us as your partners and benefit from our worldwide experience.